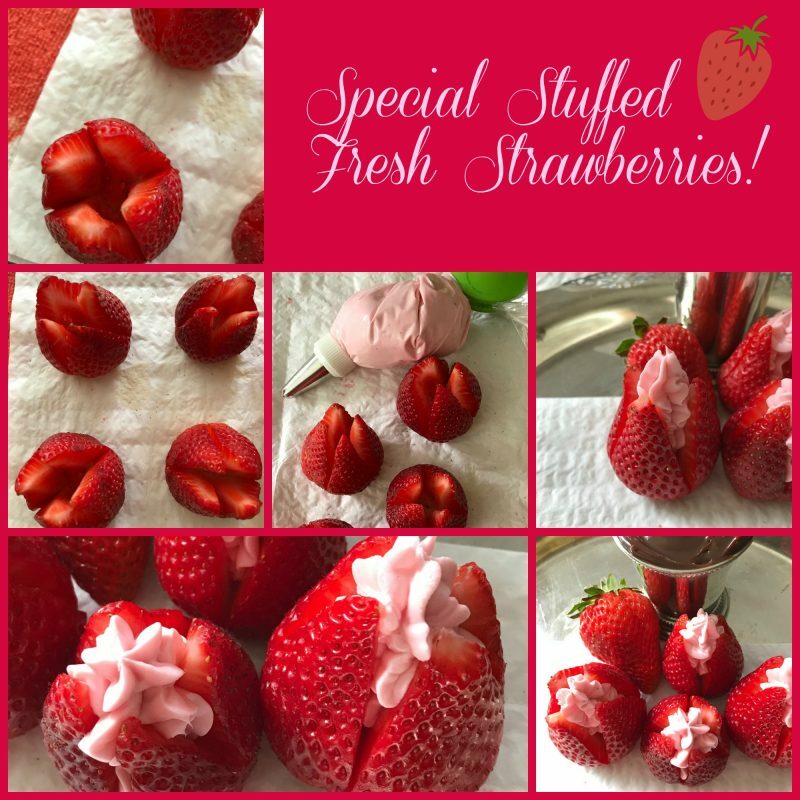 If your looking for a delicious snack, with minimal effort to prepare and requires only three ingredients then Special Stuffed Fresh Strawberries are the sweet little treats your looking for. Made with fresh strawberries, spreadable strawberry-flavored cream cheese and marshmallow fluff, things don’t get any easier than that! Stuffed Special Strawberries will look great sitting on the picnic table or on a silver tray. Here in Wisconsin strawberry picking season hasn’t yet begun, so we opted for store bought fresh strawberries. On sale for a ridiculously low price of .88¢ quart, (here’s how to make the cent sign: alt 0162) it was a no brainer. To give store bought strawberries an extra boast, I like to remove the strawberries from their container, look them over, set them on paper towels on the window sill and let them hang out in the sun for a day or two. 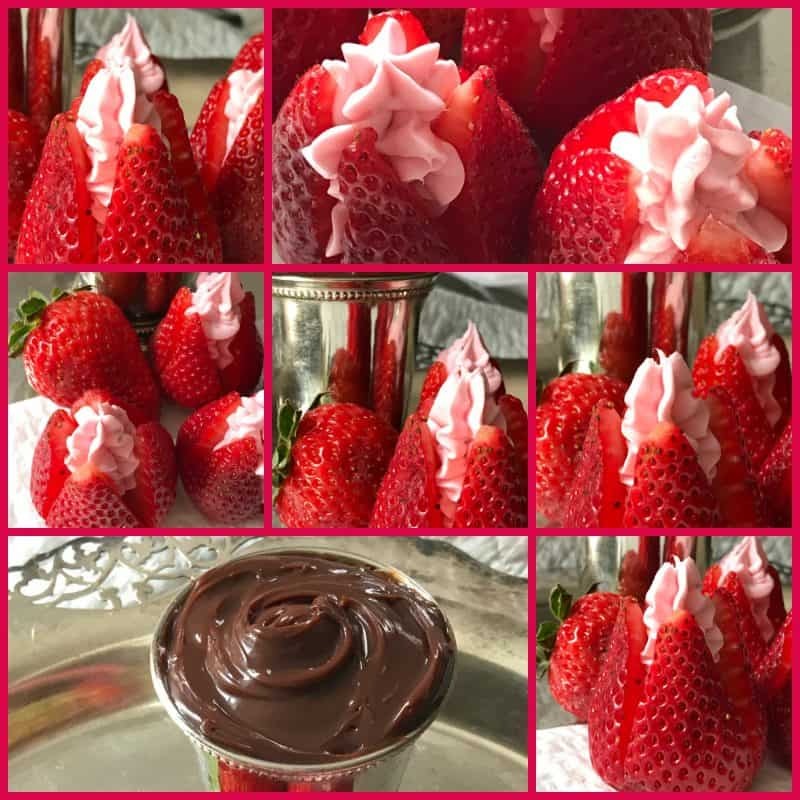 For an extra special added treat, serve these strawberry cream cheese filled strawberries with your favorite jarred hot fudge sauce, warmed. 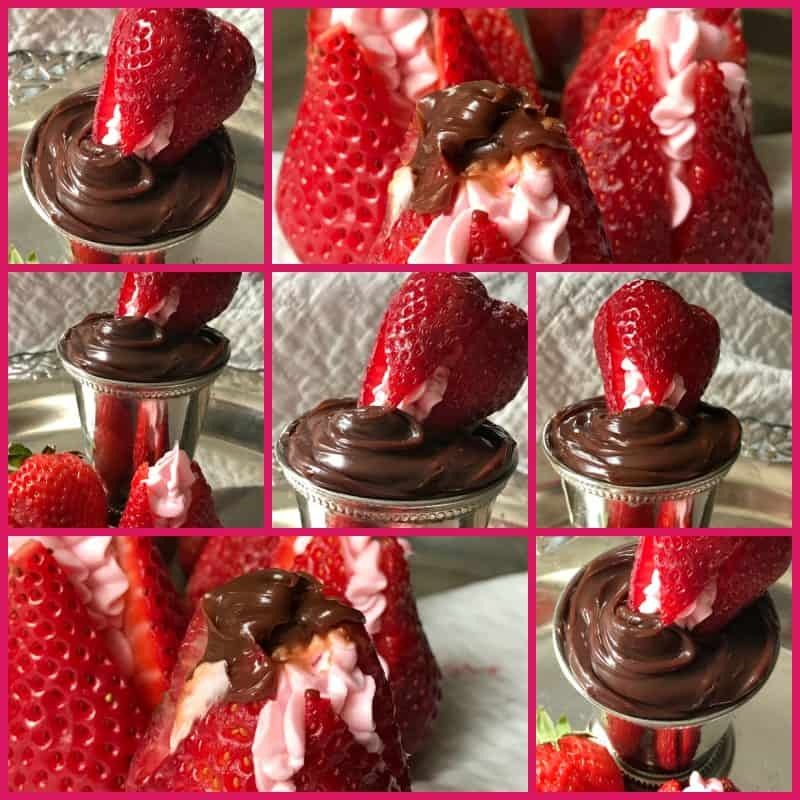 You can drizzle the filled strawberries with the warmed hot fudge sauce or simply serve the warmed hot fudge sauce on “the side” for dipping. Don’t like hot fudge?!? 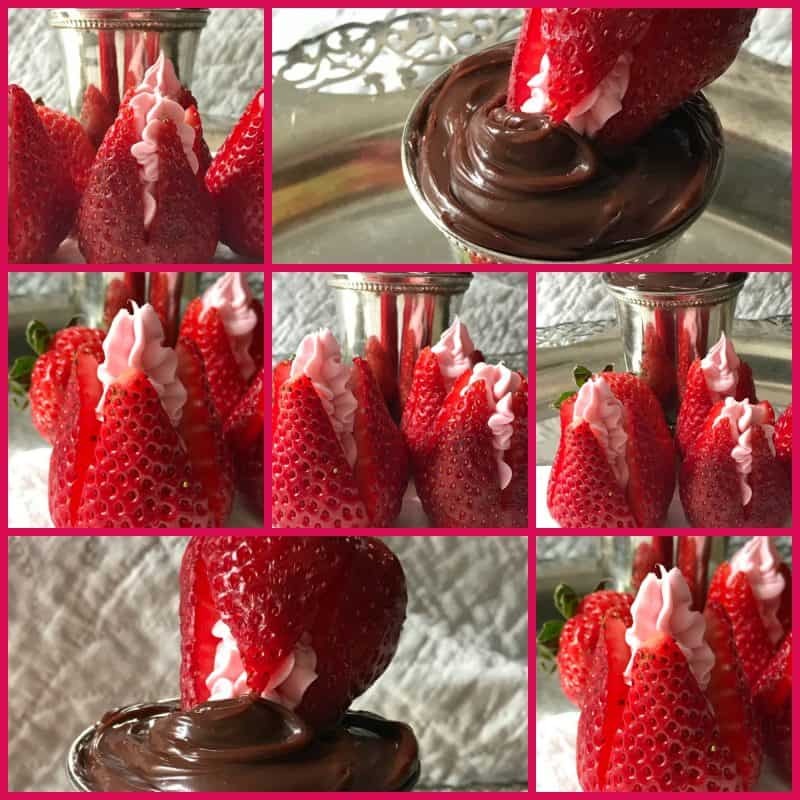 No problem, serve these special stuffed fresh strawberries with extra marshmallow fluff for dipping. Our favorite brand of hot fudge sauce is from a company called Herrell’s. Herrell’s won first place in a national taste test by Serious Eats. With hot fudge flavors like almond, coconut, chipotle, orange and peppermint, I can see why! I don’t splurge on hot fudge sauce often, but when I do, I’m a firm believer in spending the extra few dollars and buying the best. Herrell’s has that real, home-made, old-fashioned flavor I want in a hot fudge sauce. Serve these dainty looking filled strawberries as an appetizer or as a super light dessert. Remove stems from the strawberries. Place point side up on a cutting board. Cut a deep X in the top of each berry. Carefully spread the berries apart. In a small bowl, beat cream cheese and marshmallow fluff until smooth. Pipe or smooth filling into each berry. Refrigerate until serving. Right before serving, using a small spoon, spoon small dollops of hot fudge sauce onto serving plate alongside filled strawberries for garnish, optional.